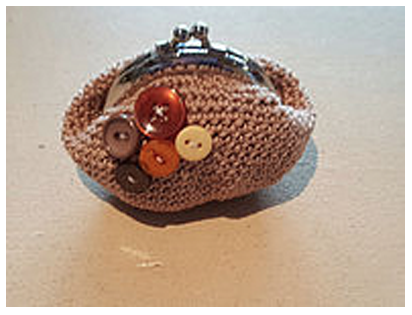 I really enjoy doing lots of different crafts the purse are crocheted and the patterns can be found on Pinterest. The monkey is knitted in King Cole Tinsel Yarn. I love doing the tea cup Pin cushions I can let my creativity come to the for.